Pine-Tree Dairy is owned and operated by Matt Steiner and his sons aiming for increased protein pounds and percentage reflect their breeding goals, while paying close attention to health traits and longevity, milk production, and proven cow families. Numerous offspring of the Rudolph Missy family currently headline the herd at Pine-Tree Dairy. Pine Tree Dairy is sending exciting consignments to the Ohio Holstein Convention Sale, March 8th. The consignments includes the dam to the #2 GTPI bull in the breed with an NAAB code, Pine-Tree Heroic GTPI+2999 NM$+1154 as well as an EARLY Marius daughter scoring +2858G +948NM$ going back to the tremendous transmitting line of OCD Supersire 9882! CLICK HERE to read more! Pine-Tree CW Legacy is the #1 gPLI young sire in the UK and the only bull over 900 PLI. Also in the Top 10 is his Charley Brother Pine-Tree Durable gPLI +827. Taking the #1 spot for the Proven Sires for PLI is Larcrest Commend a Balisto son of Larcrest Caboodle. Pine-Tree Durable tops RZG list! 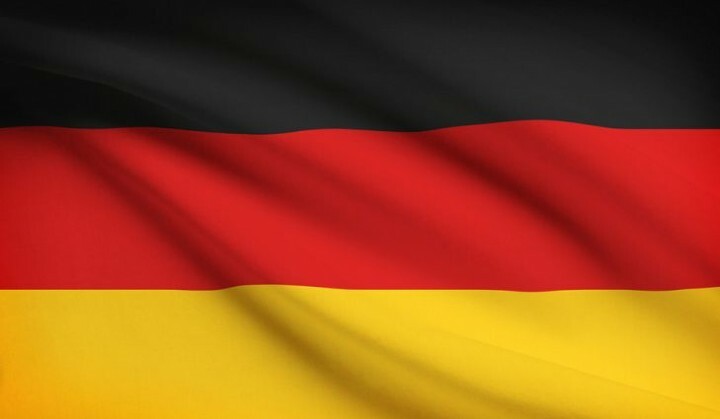 Pine-Tree Durable takes the #1 spot in the German RZG list! Pine-Tree 9882 Wild 7101 is the No. 1 GTPI Wilder daughter in the breed and now is scored Very Good-85 at 2-05. 7101 is backed by the tremendous OCD Supersire 9882 and has several sons over +2800 GTPI. Extreme production, Midas-Touch Duke Jayme now scores GP-84-2YR. CLICK HERE to learn about these donors and more at Pine Tree Daiy. 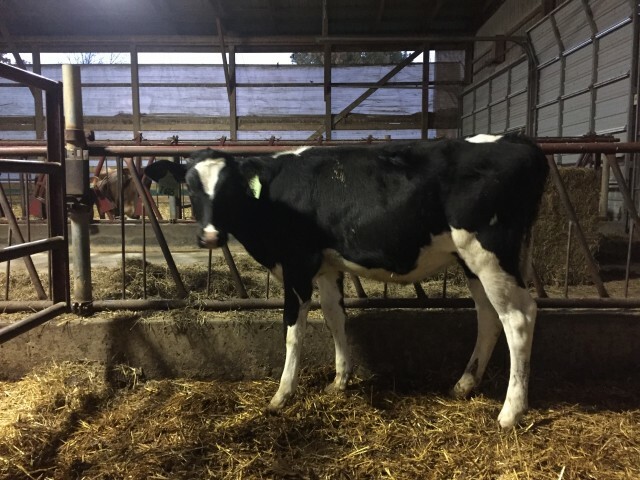 Selling as Lot 3 in the Ohio Holstein Fall Elite sale is a GTPI+2817 / NM$+956... She sells with a 5 embryos contract with Gen Elite at $2,200/embryo. She is also haplotype FREE, her dam is a VG-85 Profit direct daughter to OCD Supersire 9882, and she also sells in the sale as Lot 6! She is A2A2! Talk about ELITE offerings! The 1st Public Offering of GAMECHANGER embryos! Selling this coming week in the International Opportunity Sale are #1 grade IVF Regan-Danhof GAMECHANGER embryos. Gamechanger scores an impressive GTPI+2914 / +991NM$, he is a Modesty son back to Larcrest COSMOPOLITAN. The donor is a +2815G Profit direct daughter to OCD Supersire 9882! These will be the very first Gamechanger embryos to sell in a public auction! A couple Pine-Tree highlights selling in the World Classic Sale.. Lot 15 is a young Scuttle daughter scoring a +2888G / +165RZG. She is out of a +2778 Bandares direct daughter to VG-88 Pine-Tree 14 Kingboy6660. Selling as Lot 16 is a Donor Dam Imax daughter scoring a +2882G / +2236M / +991NM$ and is the granddaughter to OCD Supersire 9882! Pine-Tree is also featuring a high Achiever back to Shauna and a high Medley daughter sells! As proof week is underway... We will be posting a sneak peek of the lists! To start is the Top 5 High Ranking TPI Genomic Young Bulls. Topping the list is Pine-Tree Herioc, a +3004G Achiever son backed by the Cookiecutters! Full List to come SOON! +1100 NET MERIT$ Frazzled daughter! Rosylane-LLC Frzzle11270 is No. 2 NM$ Heifer in the U.S. (under 24 months) scoring +1100NM$! Pine Tree has the #2 and #6 GTPI calves in the U.S! The top 10 GTPI calves in the U.S. under 9 months of age... Rosylane-LLC Frzzle11270 is the No. 2 GTPI calf! Scoring a GTPI+2954 and +1100NM$.. Not too far behind her is Pine-Tree 5976 Prop 7829, this young Prophecy daughter scores a GTPI+2919 and +982NM$! Selling as Lot #5 in the Wisconsin Convention Futures Sale is one of the highest NM$ females to ever sell in a public auction! Pine-Tree 5976 Achi 7691 scoring a GTPI+2848 and +1057NM$! High genomic, high net merit and deep maternal line to match it. She is the complete package! Pine-Tree Dairy have made some updates to their donor section... Including the addition of Parkhurst Modesty Samarie *RC, one of the highest Red Carriers in the World! Scoring a GTPI+2841 +2.73PTAT +2.51UDC and +2.19FLC. Huge AI cow family, being the maternal sister to sires of sons Santoris *RC and Successor *RC. Also added to the donor section is Pine-Tree 6691 Hang 7429, the #1 GTPI Hang-Time daughter in the breed! And on the Jersey side from the GREAT Tenn Haug E Maid EX-93... A high ranking Avon daughter! Selling as Lot 48 in the Fun in the Sun Sale is Red Polled Splendid-P daughter of Meadow-Green Abso Fanny-Red. Fanny was recently scored EX-95 and is the 2017 Grand Champion of the R&W Shows at World Dairy Expo and the Royal Winter Fair! Don't miss this exciting Show-Age September Calf that also tests +194 points over PA with postive values for DPR and rump angle. This exciting offering is consigned by Pine Tree Dairy. Also consigned by Pine Tree are two exciting Frazzled granddaughter of OCD Supersire 9882 (Lot 32A and 32B)! Both heifers display exiting genomics with GTPI's of +2787 and GTPI+2756 and over 170 lbs comined Fat + Protein! The Sale of Stars 2017 will be held tonight November 9, 2017 at the Royal Winter Fair. There will be a lineup of excellence entering the ring.. Including Pine-Tree 6809 Fraz 7605 sells as LOT 7. This impressive Frazzled daughter scores a GTPI+2882 / +3535 GPA-LPI +978NM$ and +1996lbs of milk. Her 4th dam is Pine-Tree Ramos Alexia EX-91! Lot 1 of the Ohio Holstein Fall Sale... Pine-Tree 9839 Fraz 7623 selling is a full sister to the No. 1 GTPI (+3022G) and No. 1 NM$ (+1140NM) BULL (8/17). Selling as Lot 2 Pine-Tree 9882 Fort 7556 is a June 2017 Fortune heifer scoring a +2737G. Maternal sister sold for $32,000 in 2017 Ohio Convention Sale. And selling as Lot 3 Pine-Tree 9882 Achi 7591 a +2756G sister from the sale elite family. The Ohio Holstein Fall Sale will be held November 18, 2017 10:30 AM at the Wayne County Fairgrounds in Wooster, Ohio. Including in the sale elite offerings of Holsteins, Ayrshires, Brown Swiss, and Milking Shorthorns! The New York Holstein Harvest Sale is November 4, 2017 at 11:00 AM at the Cornell Livestock Pavillion in Ithica, NY. Selling as Lot 2 is Pine-Tree 6809 Fraz 7609... She scores a GTPI+2812 +928NM$ +1952M +9.1PL. Exceptional OUTCROSS pedigree! Selling as Lot 3 is Pine-Tree Era Achie 7603... Scoring a GTPI+2803 +954NM$ +1285M +103F. EARLY Achiever daughter with a unique pedigree! Watch for more highlights in the Harvest Sale and select the link below to view the full catalog. Endco Yoder L7933 9839 Pictured! Recently Endco Yoder L7933 9839 was pictured at Pine Tree Dairy. 9839 already scored GP-83 VG-MS at 2-01 and is the dam of the #1 GTPI bull in the breed, sired by Frazzled, at GTPI+3022 NM$+1140. She also has high ranking offspring by Griff, Charley, Gage, Blowtorch, Apprentice, Burley. 9839 is in a flush program again and is backed by the family that brought Massey and many more AI sires! Unique OUTCROSS pedigree! The Kamps-Hollow Altitude family remains strong in the Top 25 GTPI Red Females in the USA. No less than 9 females from this family rank amongst the 25 highest Red females. The donor section of Pine Tree Dairy has been updated with several exciting donors. One of the highest GTPI cows and having several daughters over 2700+GTPI Sandy-Valley Morgan Era has been added to the list! Pine-Tree 9882 SPRI 7003 GTPI+2723, an Altaspring daugther of Ocd Supersire 9882, the top seller of the World Classic Sale 2016! 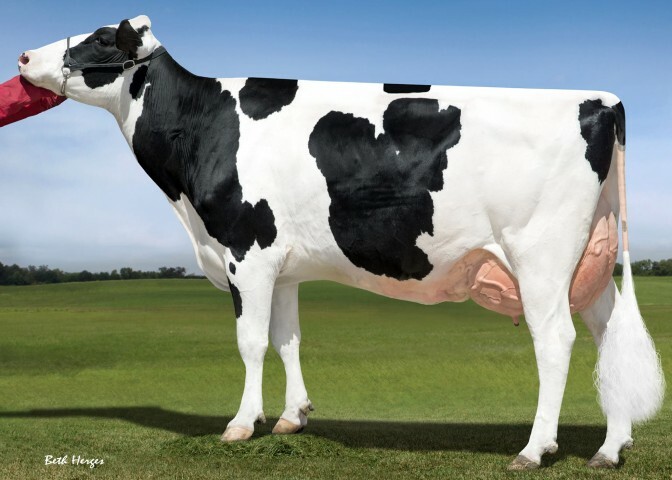 Also new at Pine Tree is Midas-Touch Duke Jayme GTPI+2815 +2472M +108F +88P, one of the highest production heifers in the breed, also dam is the maternal sister to Supersire, Headliner, Platinum and more. CLICK HERE for a direct link to the profile of Pine Tree Dairy! 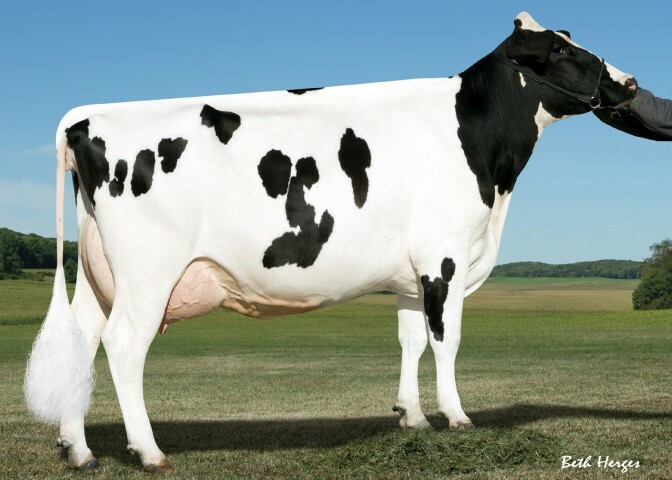 S-S-I Uno Damica 8433 is recently fresh with her 3rd calf and looks better than ever! 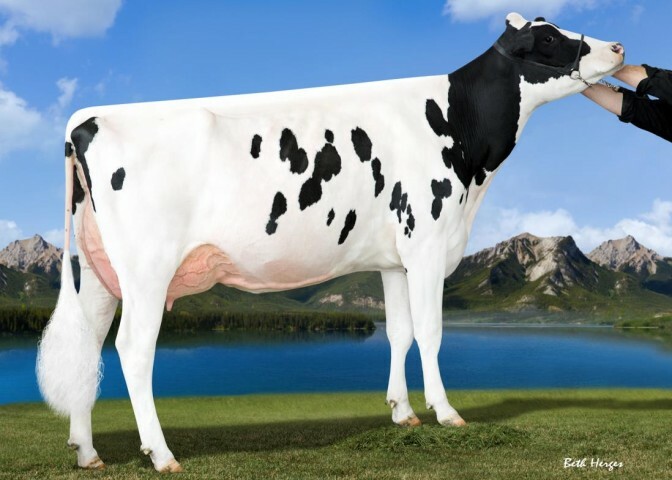 Damica is a VG-87 DOM Numero Uno daughter from a tremendous line of the Niclo Duster Donna family and has several sons at ABS and Select Sires including Ian, one of the highest RZG young sires in the breed! Watch for the +2609 Flush-Age altaHotrod daughter from Damica in the Holstein Plaza Online Heifer Sale starting next week friday (December 9, 2016)! Exciting update from Pine Tree Dairy... OCD Supersire 9882 (VG-85 VG-MS) SELLS Friday night on the colored shavings at the World Classic Sale. 9882 is one of the hottest cows in the breed at the moment with 14 sons and daughters over +2800G and backed by the Rudy Missys! Her +2735 GTPI Modesty daughter will sell in the Holstein Plaza Online Heifer Sale starting October 4. Stantons Jedi Elisa tops the GTPI list for calves young than 9 months, she is a GTPI+2911 Jedi granddaughter of Stantons Mogul Erika. 2nd highest calf on the listis a GTPI+2873 Profit daughter of OCD Supersire 9882 at Pine Tree Dairy. The donor section of Pine Tree Dairy has been updated with several exciting donors and also with the latest classification scores. Genomic Powerhouse OCD Supersire 9882 is now VG-85 with a VG-MS! Greenlane Supersire Susanna scored VG-87 88-MS, she has sons in AI and is the dam to a +2715G Profit daughter. New at Pine Tree is Seagull-Bay My Octavia GTPI+2716, one of the highest GTPI Outcross heifers in the breed, also backed by a different sire stack is Endco Yoder L7933 9839 a GTPI+2697 Yoder daughter backed by the family that produced MASSEY. 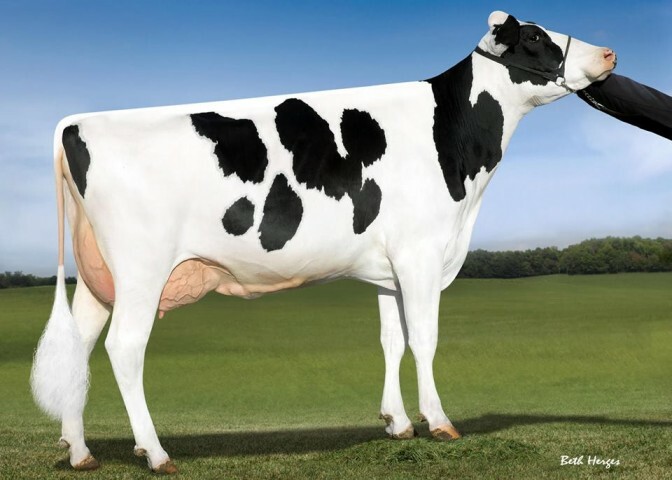 Also new in the donor section is a +2731 Damaris grand daughter of Seagull-Bay Oman Mirror! CLICK HERE for a direct link to the profile of Pine Tree Dairy! The Top 25 new females for July has been posted. Pine-Tree sells #2 GTPI altaSpring in the Breed! Pine-Tree Dairy sends a tremendous consignment to the National Convention Sale. Selling as Lot 4G is a +2809 altaSpring daughter from probably one of the hottest cows in the breed, OCD Supersire 9882 GP-83-2YR. 9882 will leave her mark on the breed thru her many high ranking sons and this calf gives an elite opportunity to buy into one of the hottest cow families around! Pine-Tree 9882 Spri 7002 was the #2 GTPI altaSpring in the breed during the April run (only 1 point behind #1). Pine Tree Dairy had a tremendous June genomic run, no less than 10 of the 17 new bulls over +2800G are carrying the Pine Tree prefix, even more remarkable is the fact that all 10 bulls are sons of OCD Supersire 9882 GP-83-2YR. An altaSpring daugher of 9882 topped the Holstein Plaza Online Heifer Sale last week selling for $25,000. Three new exciting donors have been added to the profile page of Pine Tree Dairy. 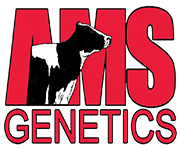 Two high-ranking GTPI Kingboy daughters of top-ranking Net Merit $ cow Pen-Col Robust have been added, they are both in an IVF program and both heifers show a very balanced proof with good scores for production, type and health traits. Another added donor is Pine-Tree 8602 Lott 5863, she is a GTPI+2608 December 2014 Lottomax daughter backed by a deep pedigree. Lott 5863 her dam is an early and already classified VG-87-2YR Supersire daughter that is due with her 2nd calf next month. Lott 6568 show a very balanced proof and SELLS as lot 4 in the Holstein Plaza Online Heifer Sale! CLICK HERE for her catalog page. 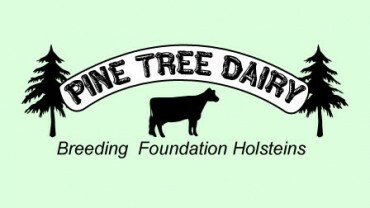 New donors have been added to the profile of Pine-Tree Dairy, check it out today! AND don't miss the +2315G HOMOZYGOUS POLLED heifer selling in the National Convention Sale from Pine-Tree Dairy. Pine-Tree 5693Home 6635 is the Homerun-P daughter backed by the Rudy Missys with +47 protein. She sells as Lot 35. 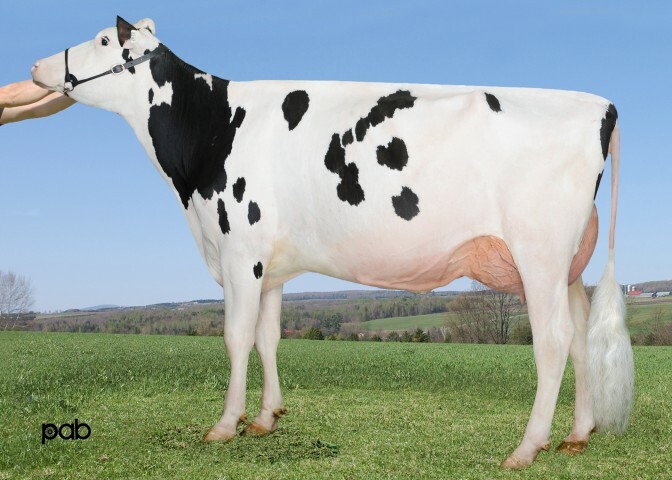 Also selling as Lot 62 from Pine-Tree is a +2466G Pure daughter from Pen-Col Robust Harp and over +2000 milk! Pen-Col Robust Harp VG-85 EX-MS at 3-04, just fresh 2nd lactation, Harp is one of the highest NM$ cows in the Breed scoring NM$+724! Pine-Tree 4606 Sudam 5374 VG-87 EX-MS at 2-07, GTPI+2382 Sudan x Domingo x Jinx x Outside x Wesswood-HC Rudy Missy! CLICK HERE to view the profile of Pine-Tree Dairy. The donor section of Pine Tree Dairy has been updated with some truly interesting donors of which several have Unique Pedigrees! New in the donor section or some of the highest Mascalese, History and Uno daughters in the Breed! S-S-I Uno Damica 8433 is a GTPI+2560 from the Niclo Duster Dolly Family, Pine-Tree 705 Tango 6344 is a GTPI+2510 Tango daugther with an unique pedigree including sires like Levi, Trump and Billion her high ranking Massey sister will also soon be in a flush program. Legacy-Sch History 8326 is the #1 GTPI History daughter in the world and Pine-Tree 4944 Masc 5810 is one of the highest Mascalese daughters! 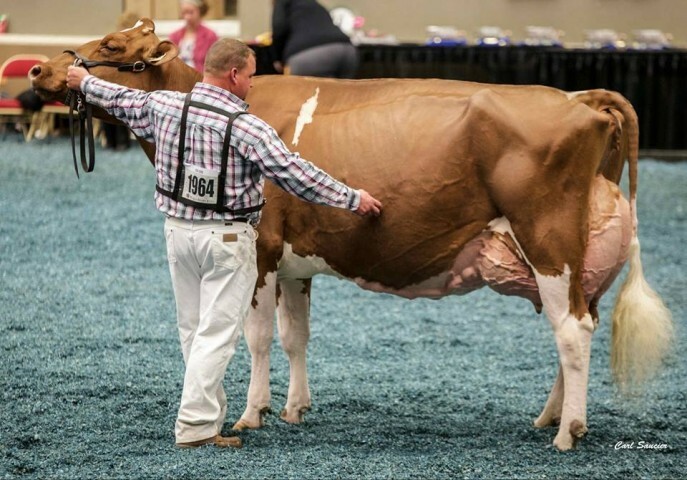 Pine Tree Dairy has several exciting animals consigned to the Ohio Holstein Summer Extravaganza & Summer Sale which is held at the Wayny County Fairgrounds on August 16 startin at 2:00 pm. CLICK HERE to learn more about the Pine-Tree consignments. Selling direct from the dam of No. 7 GTPI AltaOak! 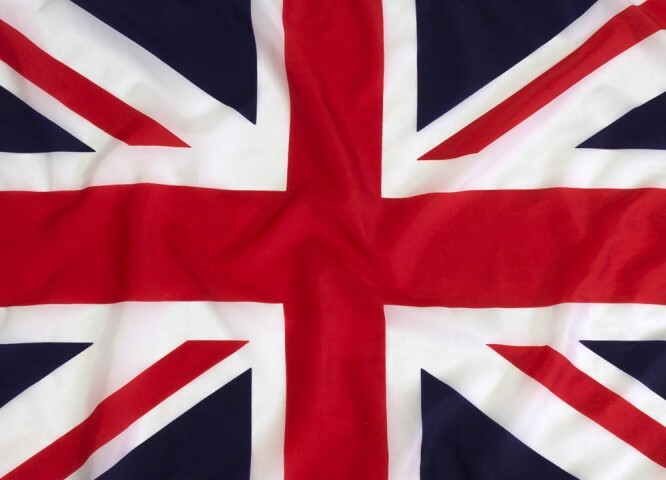 Don't miss this fantastic exclusive offering selling on the Holstein Plaza Online Embryo Auction... IVF Willpower embryos from the dam of AltaOAK, Pine-Tree Leif Suzy-ET VG-86 DOM. Click here for more details on this huge outcross opportunity.